We sell our 100% grass fed, slow grown, pure Welsh Mountain Badger Face, Whiteface Dartmoor and Herdwick lamb, hogget and mutton that produces medium sized delicious carcases direct to you, the customer. Our sheep graze on our culm grassland meadows and grow naturally with no concentrated feedstuffs, which improves both the taste and the texture of the meat. The slow approach extends to the hanging of the carcases for 14 days which further enhances the flavour and tenderness. Whole and half lamb boxes are available in season, from September to November, Mutton in September and October and Hogget in May. 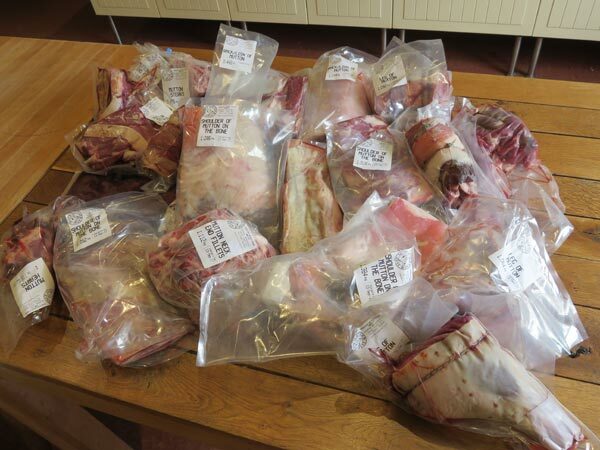 We encourage customers to reserve their lamb, hogget and mutton boxes early as demand always outstrips supply. One fully butchered lamb takes up about one and a half shelves in an average upright freezer and will be cut to your requirements. Your meat will then be couriered fresh, direct to your door. We have chosen our breeds of sheep for a number of reasons; they are rare or native breeds, all have a special beauty, they are extremely hardy, they thrive on our farm, have amenable temperaments and are a pleasure to handle. But the main reason for choosing and then keeping faith with these breeds is that they all taste exceptional. Badger Face lamb is exquisitely sweet, flavourful meat; the meat of Whiteface Dartmoors has been called angel meat because of its taste; the Herdwick takes a little longer to mature and excels in produces deeply flavoursome hogget. Our lamb is available September to November. Hogget is leaner than lamb and older, between one and two years, so has a slightly larger carcase. 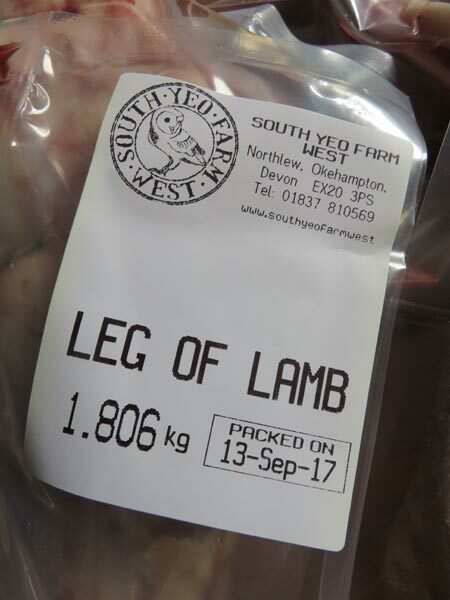 As the demand grows for this fabulous meat each year, we increase the numbers of lambs that we grow on as hogget and the flavour is astonishing; deeper and more mature, whilst maintaining its lamb-like tenderness. 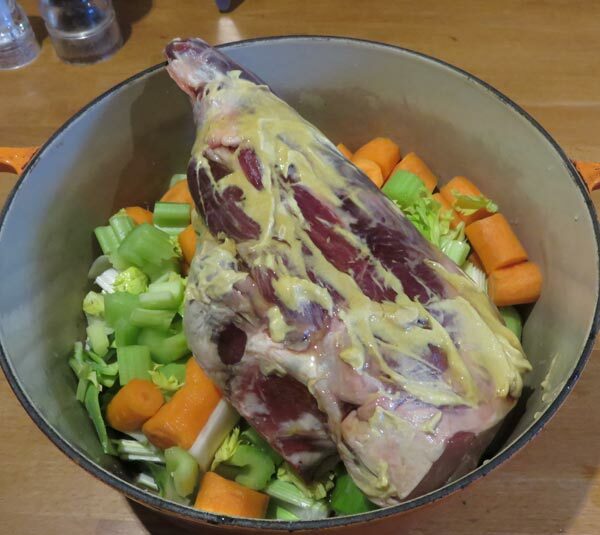 Our hogget is available in May so if you fancy trying some do ask us to put you on our hogget mailing list – it is usually reserved a year in advance by everyone who tries it. In September and October we have mutton available, although it sells out fast. Mutton has had a well deserved renaissance, which considering its taste is not surprising; it’s perfect for slow roast recipes and for dishes that get their flavour from long slow cooking such as succulent curries, tagines, moussaka, hotpot, stews and shepherd’s pie. Carcases will weigh more than lamb or hogget. Please let us know if you are interested in mutton and we will put you on the mailing list for this flavoursome meat. Contrary to popular belief, with long, slow cooking we have never found it to be anything other than tender. We try and accommodate any other butchery requirements you may have. 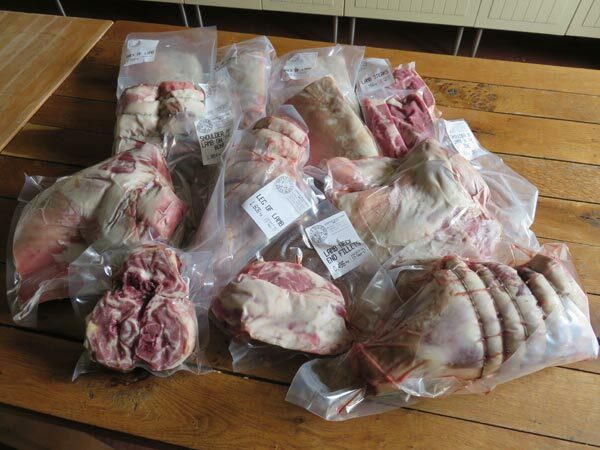 If you want a whole or half lamb in one piece for spit roasting, we can do that too, although that’s collection only because we can’t get hold of suitable boxes large enough to courier them. Weights: Weights inevitably vary, but a whole lamb box simply butchered will be around 10+ kilos (NB if you want cuts boned, the results will obviously weigh less). Hogget is a similar weight to lamb, and mutton boxes will be approx 12 kilos (although they can be quite a bit heavier). To place an order, or for more information about our lamb, hogget or mutton boxes, please contact us. “By the way, and needless to say as I am re-ordering, the lamb was absolutely delicious!” MD, Exeter. “The lamb is gorgeous. 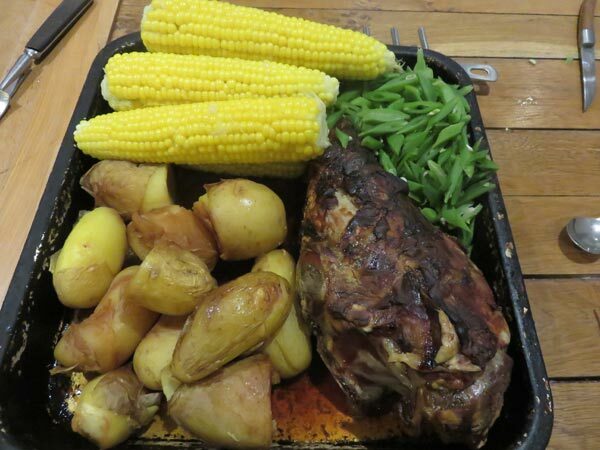 It all arrived well packaged and in one piece (well, several chopped up pieces We had our lamb moussaka using one pack of mince and it was really lovely.” DS, Bristol. “Great condition, brilliant price and very quick delivery, highly recommended”.